When you have a pest control problem, you need it solved right now! Responders Pest Control offers some of the best customer service of any pest control company in Calgary. Our pest extermination services are offered around the clock at highly competitive prices. When we show up to get rid of pests, rest assured that your privacy is our priority. All our vehicles, equipment, and uniforms are unmarked. You don't have to worry about the neighbors knowing you have a problem with pest control in Calgary. Responders offers help with all sorts of insect removal in Calgary. Bed bugs are a prime example. This type of infestation is becoming more of an issue each year; anyone can get bedbugs. They can be transmitted many different ways. Common modes of transmission include travel from home to work and back again, picking up bedbugs in hotels, or moving into a different home. Houseguests may unknowingly bring bedbugs with them. These pests may breed for weeks or sometimes months before you notice them. That makes it easier for people to not realize they have a problem until it begins to spread throughout the house. Left unchecked, the bugs will spread to visiting friends and neighbors. Our pest control services in Calgary include complete bed bug removal. 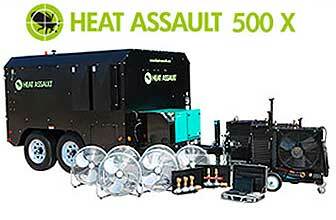 Responders Pest Control uses the latest heat technology to eliminate your bed bug problem in as little as 24 hours. Unlike some of the other pest control companies in Calgary, we use the most modern approaches to heat technology. Our heat treatments are guaranteed, so you know your costs won't go up. With us, you get an expert exterminator in Calgary who is among the best in the business and will help you make the home pest-free once more. Responders puts the customer first. We always have time to answer your questions about all kinds of Calgary pest control, and address any concerns that happen to be on your mind. Call us today, and we’ll put you directly in touch with the exterminator who will take care of your home and get rid of those pests.